Released in February 2012, the Samsung Star 3 Duos (S5222) gives you the opportunity to keep both business and personal accounts separate providing at the same time, a sense of flexibility and comfort. The minimalist aesthetic gives it elegance and makes it easy to hold and carry. If you find yourself in the situation when your Samsung Star 3 Duos doesn’t work as it used to and you notice minor software problems such as freezes, lags in launching apps or system hangs, that could indicate a number of issues. Anyways, performing a hard reset should fix the matters. This works even when you plan to give or sell your phone and you don’t want your data to get in the wrong hands. What you should know about this procedure is that it removes all data and any application downloaded and installed on the phone’s memory. This means that you must do a backup of all your data and files on an external device to make sure that you won`t lose anything important during the process. Next, you`ll learn to factory reset your Samsung Star 3 Duos with these easy steps. 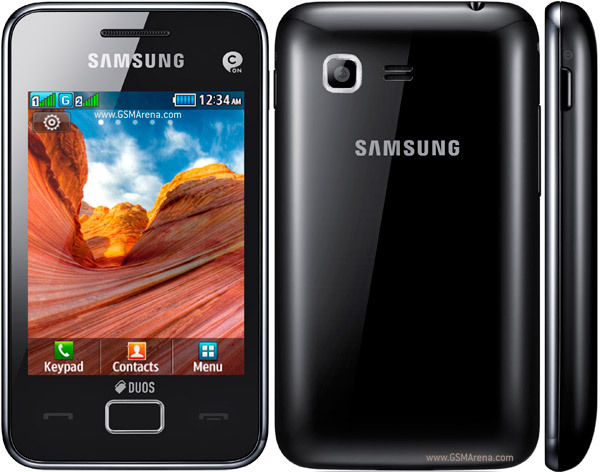 Star Duos S5222 is an modern and easy to use phone from the famous Korean brand Samsung. As a low cost device, it has the basic essential features. It runs on Proprietary OS and has a 16 MB internal memory, expandable to 32 MB. The 3.15 MP rear camera takes good quality pictures. Connectivity options include Wi-Fi, Bluetooth (v2.0) and micro USB (v3.0). First of all, make sure that you`ve backed up your contacts, images, messages, music because this procedure will erase everything from the phone`s memory. The first method requires that you access the menu and follow a few steps. After you`re done, the phone will be as brand new one. Access the Menu and find your way to Settings. After you’ve tapped Settings, choose the Reset option. Next, a reset window will appear and you should press Master reset. When the confirmation window appears, tap Yes to complete the hard reset.